Return tickets Secure your ticket to Myoko and back to Narita in one simple package. Free ski pass Receive a free one day pass to Ikenotaira Onsen Ski Resort. Please make sure to list your flight number and also choose the correct drop off/pick up location when you fill out your details. These details allow for us to provide you with the best service possible. Please note that Akakura bus stop doesn’t have a bus shelter. If you can get your hotel to drop you at Myoko Kogen bus terminal near the train station you can wait inside our heated waiting room. Tickets must be booked 10days in advance. To book within 10days of departure please contact us via e-mail. The shuttle requires 5 people to operate. Service times maybe changed/cancelled due to weather/road conditions. By booking with Myoko Shuttle you agree to the terms and conditions as written on our policies & information page. Babies that dont need a seat are free of charge. Child seats are for children up to the age of 12. 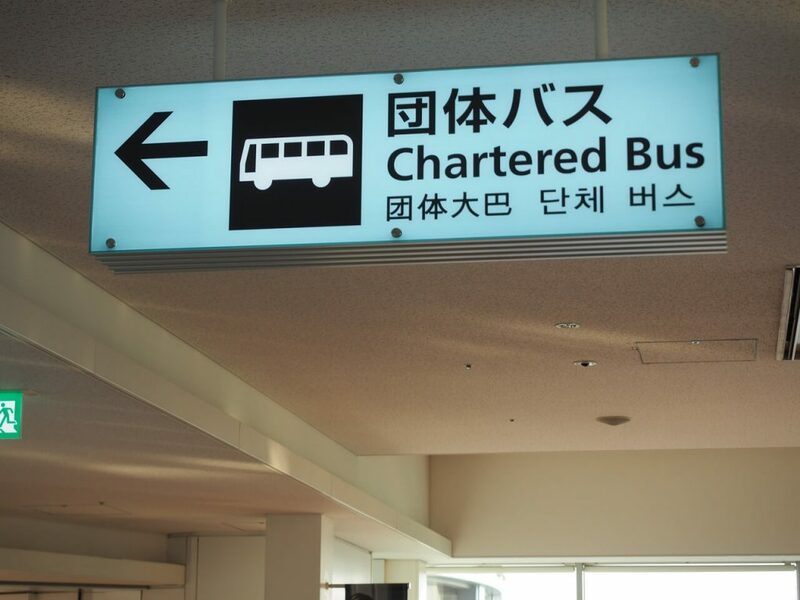 Upon exiting customs please follow the route for the chartered bus parking area. When you reach the sign shown in the photograph opposite you will see some seating. Please wait at this seating area. A member of our staff will come to meet you and guide you to he bus. You can download a PDF of the instructions HERE for offline use. But please wait at the sign area and do not head down the escalators.